Jenna Birch is a freelance health and lifestyle journalist, covering topics like general health, nutrition, fitness, psychology and beauty. She has contributed to many online outlets, such as Yahoo, SELF, Shape, Women’s Health and Allure. Her work has also appeared in magazines like Marie Claire, Real Simple and O.
Let’s say you’re leaving work at 5:30 p.m. and want to fit a workout in before you grab dinner with friends. Or maybe you bike to work in the morning, with the sun beating down as you pedal. How do you freshen up your look when you don’t have access to a full shower and key cosmetic supplies? Don't fret — these tricks will help you salvage makeup, revive hair, and de-stink before you need to make your grand entrance post-workout. Goldenberg recommends using wet towels or wet wipes. Try Dickinson’s Daily Refreshingly Clean Cleansing Cloths, which contain witch hazel and aloe and are gentle on sensitive skin. To save the few minutes it takes to fully wash and moisturize your face, try a no-wash cleanser. Dendy Engelman, MD, a dermatologist at Manhattan Dermatology and Cosmetic Surgery, recommends First Aid Beauty Milk Oil Conditioning Cleanser. The no-wash formula will “dissolve traces of makeup and dirt, including stubborn waterproof or long-wear formulas, while conditioning the skin,” she says. 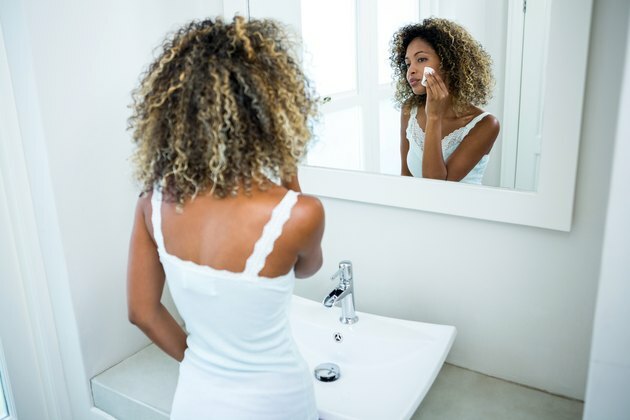 If you don’t have time to re-do your makeup, set yourself up for a “quick fix” routine after you work up a sweat, according to celebrity makeup artist (and fitness fanatic) Amy Hanlin. After your workout, remove oil with oil-absorbing sheets, like those from Clean & Clear. Follow up with a fixing spray to even out imperfections. Then blot skin with a beauty blender to give makeup a fresh, natural look. "Dab; don't ever wipe your face, or you will wipe off your makeup,” Hanlin says. You can also reset your skin with a light sweep of translucent or mineral powder. Engelman recommends Elizabeth Arden Ceramide Skin Smoothing Loose Powder for a teensy bit of coverage. “I also finish by adding a pop of color to my lips,” she says. Depending on what style you want to create, plan ahead for your post-workout 'do. "A nice top knot will leave tousled waves when you let it loose, or a braid could be done for some nice beachy waves when you let your hair down,” says hairstylist Amber Duarte. After your workout, let out your top knot or braid out. If your hair is still wet, “I suggest drying your hair a bit with the gym blow dryer," Duarte says. Once hair is about 75 percent dry, add some dry shampoo to get rid of that oily gym smell, and continue to blow dry, Duarte says. When hair is completely dry, add another spritz of the dry shampoo, focusing on the roots. “You can add a little to the ends, as well,” says Duarte. “Use your fingers, flip your head and tousle it around. You'll get tons of volume and set those waves even more." If your ends wind up a little bit frizzy, add a tiny dot of styling cream on the ends. Duarte recommends Kiehl's Creme with Silk Groom. Use a wide tooth comb if hair needs little taming, she adds, and finish with hairspray. 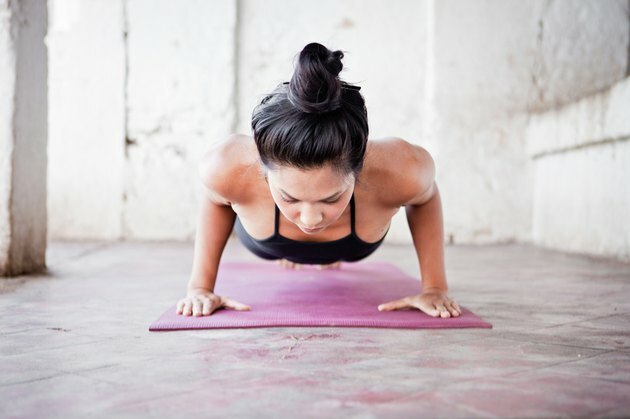 And then, you’re off — with your bag as the only sign that you're coming from a sweaty workout. How do you freshen up after workouts? Do you have any tips for getting ready quickly? What are a few of your favorite products? Leave your tips and suggestions below.